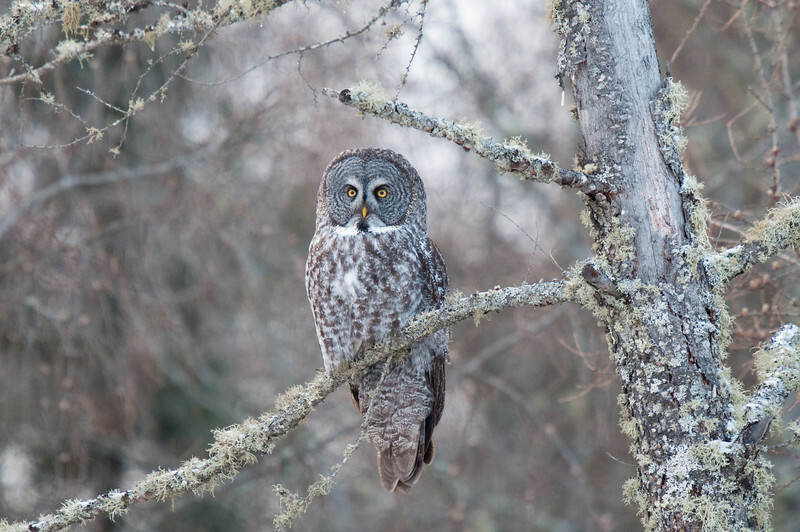 A great gray owl waits for darkness in a cold Minnesota forest. Great gray owls are among the largest owls in the world and I've always wanted to see one in the wild. While watching him just before sunset, shivering in temperatures hovering just above 0 degrees F, I could truly feel its presence. I am incredibly lucky to have had the chance to see this animal.